The Wildlife Express train takes you to the research and education center, Rafiki's Planet Watch. At the Rafiki's Planet Watch, the first building that visitors see is topped with spectacular, large, colorful murals of the animals. Inside, you will find viewing areas where exams and surgical procedures may be observed. 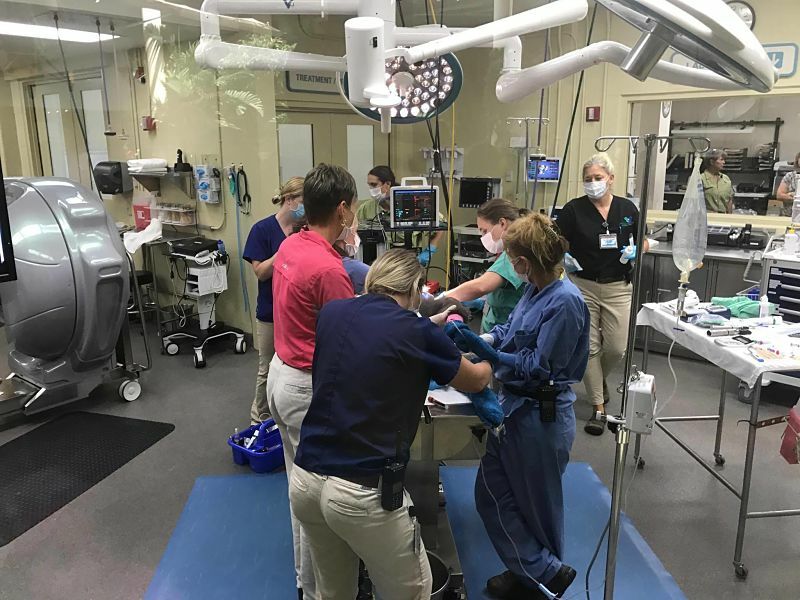 In addition to the veterinary facilities, experts are on hand to educate you on the caring for, and meal preparation for the many animals found in Disney’s Animal Kingdom. Pellets for the parrots, “cookies” for the elephants and live mealy worms for the meerkats are some of the delicacies prepared for the Animal Kingdom’s inhabitants. There is a multitude of information on conservation efforts of organizations throughout the world, including a computer that can tell you where the one nearest to your hometown is. There are many interactive displays with environmental information and tips for preserving our natural resources including sound booths featuring the sounds of the rain forest. Touch screens allow you to check out the Animal Cams throughout the park. The "Affection Section" is where young and old alike have an opportunity to interact with the animals. At first, they appear to be the usual petting zoo variety of animals, but you'll discover that they are exotic breeds of sheep, goats, deer, pigs, etc. Of course, all of this "hands-on" play means that little fingers must be washed. There's a cute elephant fountain nearby that will accomplish this task and bring a smile. At the “Out of the Wild” shop, guests will find conservation-themed clothing, snacks, environmentally friendly toiletries, books and stuffed toys. 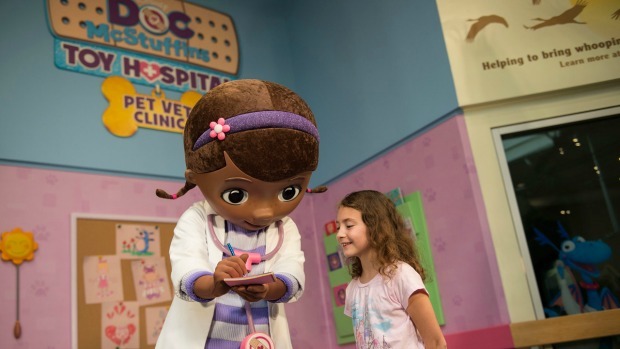 The beloved six-year old star from Disney Junior's hit animated series, Doc McStuffins, can be found in her new location just outside the veterinarian clinic at Rafiki’s Planet Watch. Doc McStuffins has big dreams of becoming a doctor just like her mom. In the popular TV series, she runs a clinic for stuffed animals and broken toys. 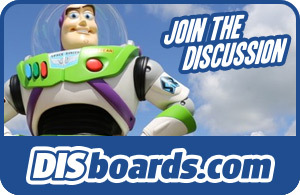 Check the Times Guide for meet-and-greet times. 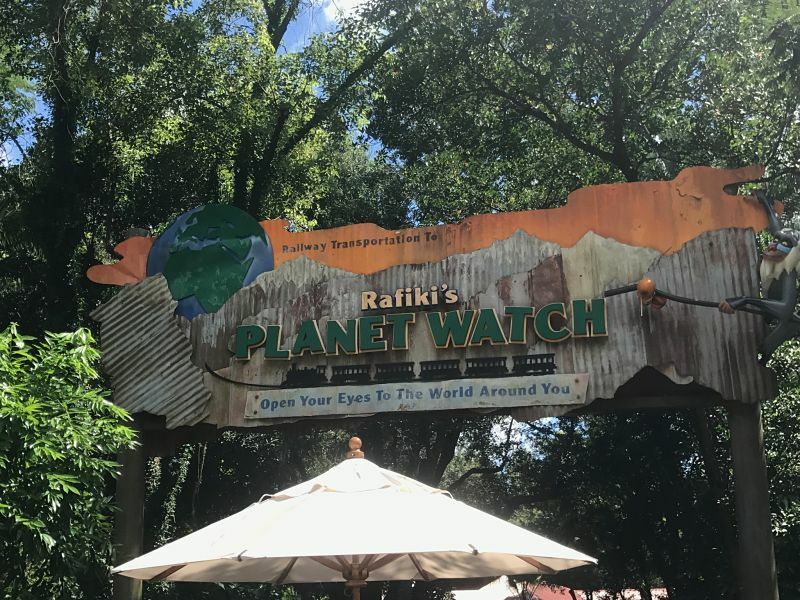 Handicapped Accessibility: Rafiki's Planet Watch is wheelchair accessible.